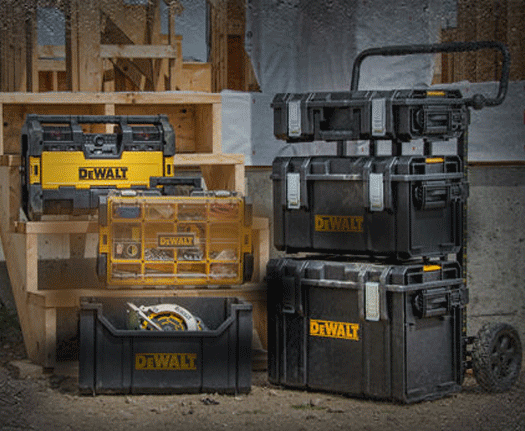 The DeWalt T-STAK & ToughSystem storage choices highlighted on this page are a great way to keep whatever you need mobile and to hand right where you want it. You can build up your own storage with this stackable system, or opt for a carry with you toolbox, accessory case or organiser. You can pick drawer options to suit your own work needs across the range of this world-famous brand. DeWalt products are always noted for their toughness, durability, and the way they can stand up to so many different working environments. These DeWalt T-STAK & ToughSystem products are a great choice for working professionals; our terrific prices makes them an even better buy!